Enfield Riders Pvt. 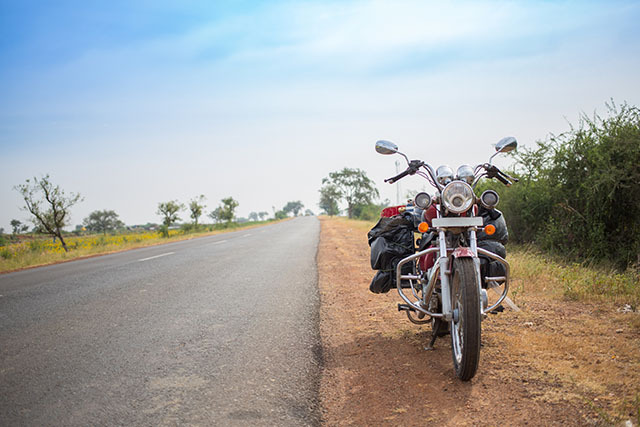 Ltd, a Mumbai-based startup that conducts motorcycle tours, has raised its angel round of funding from a Mumbai-based wealthy individual, a top company executive told VCCircle. Baljeet Gujral, co-founder of Enfield Riders, said the fund will be mainly used for expanding its fleet of motorcycles and back-up vehicles. The company will also use a part of the capital in setting up an additional office in Bangalore and introducing global positioning system (GPS) and navigation maps. The company has raised Rs 3.3 crore ($500,000) from a high-net-worth individual, who runs a construction firm in Mumbai. “The first tranche has already arrived. The next and last tranche will come in January,” Gujral said. The company, which has at present 50 motorcycles in its fleet, plans to add a similar number of vehicles. “At a cost of Rs 2 lakh per vehicle, we are going to spend Rs 1 crore for that purpose only,” he said. Gujral, who earlier worked with a Swiss bank, left his job to set up the company along with academician wife Poornima. The couple started the company with an investment of Rs 65 lakh, arranged from own savings and family. The firm was set up in 2012 and began operations the next year. The company’s biggest business vertical is expeditions and tours, which account for about 60% revenues. Its packaged tours cost between Rs 70,000 and Rs 1 lakh. The company claimed to have around 250 participants in the year ended March 2015. Though its prime offering is the Ladakh tour, it also conducts trips to Rann of Kutch in Gujarat as well as in Rajasthan and Goa. Its international offerings include trips to Tibet, Bhutan, Nepal, Thailand, Vietnam, Cambodia and Sri Lanka. Laos, Singapore and Malaysia are next on its itinerary. The company also offers bikes on rent for weekend trips to places 250-300 km away from Mumbai. It offers 350 cc and 550 cc Enfield bikes at Rs 1,500 and Rs 2,000 a day, respectively. It caters to nearly 250 customers a month. Besides, it runs a service station, mainly for out-of-warranty vehicles, and handles 500 clients a month. In a bid to grow the topline, the company earlier this year launched two new verticals. It has started providing coaching to women at Rs 10,000 for a 10-hour session. It has also started customising Enfield bikes, which it buys for up to Rs 2 lakh and sells for as much as Rs 3-3.5 lakh. The firm is also looking to sell motorcycle accessories and build a bikers’ merchandise channel to increase revenue.